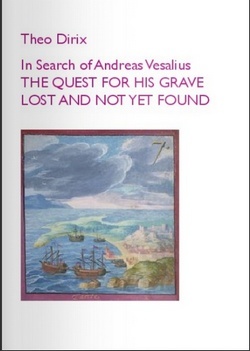 My partner in crime and fellow traveler, Theo Dirix, has just published a new account of our common quest for the lost grave of Andreas Vesalius. Until the scientific results of our latest mission in Zakynthos in September 2017, will become public, this collection of articles published since 2014 represents a detailed and complete status quaestionis of a search that will never be the same anymore. Following is a remarkable quote from the book: "The beast you have in your hands may appear as aged and stubborn: indeed, the texts collected here are not new and they regularly echo each other. The beast barks and growls: these words do not intend to examine or research but were meant to sell a project to potential sponsors. I feel the taste of the creature’s spit in my face, but pleading not guilty to any accusation of self-glorification, I do hope I managed to teach it a few tricks you will enjoy. While continuing to write about Vesalius’s death and his grave, black dogs may still be scratching at my hermitage. When I will finally throw open the doors to the beauty beyond, here’s hoping the encounter with the female spider will taste as fresh as a first kiss and be the beginning of something else." No surprise some have described the book as: "a truly captivating story (a Live Adventure!) written in a fascinating, passionate and inspiring way. Theo Dirix, with his unique style is describing facts from his adventure to locate the grave of Vesalius and he is mentioning with great respect all his collaborators, the friends of Vesalius and those who share the same passion for Anatomy and Art." (Vasia Hatzi on Med in Art). Cover of the book by Theo Dirix. The book can be ordered here: https://www.shopmybooks.com/US/en/book/theo-dirix-32/in-search-of-andreas-vesalius. (English version of the website). More information about the author on his website www.theodirix.com. or here. Personal note: Thanks to Pascale Pollier, a contributor to this website, for allowing us to publish this article, originally published on Vesalius Continuum. I received a personalized copy from the author, Theo Dirix; Thank you very much for the recognition and the use of this website as reference in some of your comments. It is a great read for anyone even mildly interested in the life and specially the death and disappearance of the grave of Andreas Vesalius. There are several passages in the book that I will have to research and transform in articles for this blog. For those who collaborated in the GoFundMe campaign because or our article entitled Do you want your name in a book? The Quest for the Lost Grave.... this is the book and the name of all the contributors are listed in it! The [Coumadin ridge], also known as the [Warfarin ridge], or a [left atrial pseudotumor]. is an excessive elevation or protrusion of a normal ridge found between the left superior pulmonary vein and the internal ostium of the left atrial appendage. Usually this ridge will extend inferiorly towards and anterior to the ostium of the left inferior pulmonary vein. 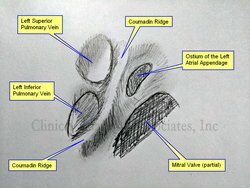 The Coumadin ridge is considered an anatomical variation of the otherwise small ridge, which is nameless. Because of its location and morphology, some cardiologists and radiologists have mistaken this elevation or fold of the internal anatomy of the left atrium for a thrombus and prescribed anticoagulant therapy (Coumadin or Warfarin) when none was needed, hence its name. To understand the generation of the Coumadin ridge we must understand the embryology of this area of the heart. 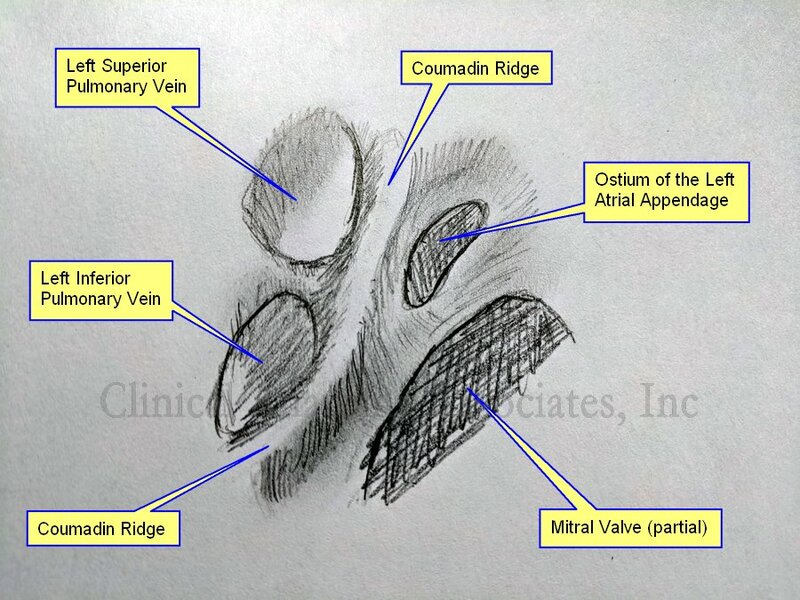 The left atrial appendage is the original left atrium in the embryo, which is displaced anteriorly and superolaterally when the veins that enter the atrium start to dilate at their distal end creating the left sinus venarum. After the left atrium proper has formed, the left atrial appendage is left as nothing more than an embryological remnant that can cause problems if the patient has atrial fibrillation (AFib). The ridge forms at the point where the left atrial appendage and the sinus venarum meet. The Coumadin ridge can vary in morphology, from presenting as an elevated ridge, to a bulbous, pedunculated mass that seems to float within the left atrial appendage and undulate, following the cardiac motion, forcing the cardiologist into believing they are in the presence of a thrombus or a tumor within the heart. This fold of tissue may contain the ligament of Marshall, autonomic nerves, and a small artery. In rare cases there may be an actual tumor arising from the location of the Coumadin ridge, but this is just a coincidence. Now that the Coumadin ridge is a better known anatomical variation, cardiologist sometimes refer to their finding as a pseudotumor, a description that may scare the patient, but is only but a fold of tissue inside the heart. 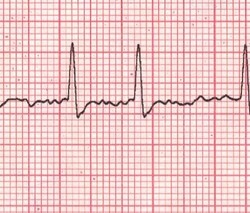 Finding a Coumadin ridge in a patient with atrial fibrillation can be an interesting situation requiring differential diagnosis, as a patient with AFib can present with thrombi in the left atrial appendage. What to do? Is it or is it not a thrombus? Also, a differential diagnosis is needed in the case where the image is actually that of a left atrial tumor or an atrial myxoma. The accompanying image an own work based on Sra (2004) and McKay (2008), and is a graphite on paper sketch. The image shown an internal view of the left atrium showing the left superior and inferior pulmonary vein, the ostium of the left atrial appendage and a segment of the area of the mitral valve. We would like to thank Dr. Randall K Wolf, a contributor to Medical Terminology Daily for suggesting this article. 3. “Papillary fibroelastoma arising from the coumadin ridge” Malik, M, Shilo, K, Kilic,A. J Cardiovasc Thorac Res. 2017;9(2):118-120. If you arrived to this article looking for information on Atrial Fibrillation, you will find some in this article. 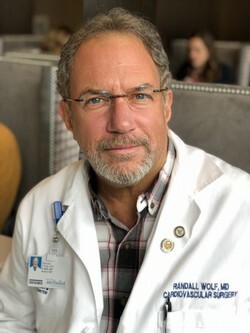 If you need to contact Dr. Wolf, please click here. Westin at Memorial City, 945 Gesner Rd. This seminar is free and open to the public. To attend, please call the telephone number to register. In my experience over the last 18 years as a physician who specializes in the treatment of Atrial fibrillation (AFib), I have learned AFib sufferers want two things: Hope and a chance to feel better. The first step to hope and to feeling better is to self educate. Learn about the latest medications, techniques and devices to treat AFib. Ask questions. Get a second opinion. Take charge of your health. About 30 million people worldwide carry an AFib diagnosis. Today seems everyone either has AFib or knows someone that has AFib. When I first held an Afib seminar in Beijing, China, over 1200 people with AFib signed up for the seminar. It was standing room only! Despite the common occurrence of AFib around the world, a recent study found that in patients who were diagnosed with AFib, 40-50% of patients with an elevated risk of stroke were not treated with the best therapy, and the rate of stroke over the next five years was 10%. Here in Houston, we can do better! Learn more about AFib right here today, and I guarantee you will have hope and be more likely to reach your goal of feeling better. The University of Texas McGovern Medical School, Cardiothoracic and Vascular Surgery Department in Houston, is proud to host the inaugural Houston AFIB Patient Experience Seminar. The purpose is to educate the public in an interactive format allowing the audience to engage in conversation in a question/answer format with leading medical professionals. Our list of panel members and guest presentations include surgeons, cardiologists, neurologists, pulmonologists as well as testimonials from AFib patients. We are honored to be able to bring awareness to the resources and options available to patients suffering from AFIB. NOTE: If you cannot attend the seminar, there is more information on Atrial Fibrillation at this website; click here. This article continues the musings of "Interesting discoveries in a medical book". In this book I found a copy of a letter written by Ephraim McDowell, MD; who on December 25, 1809 performed the first recorded ovariotomy in the world. 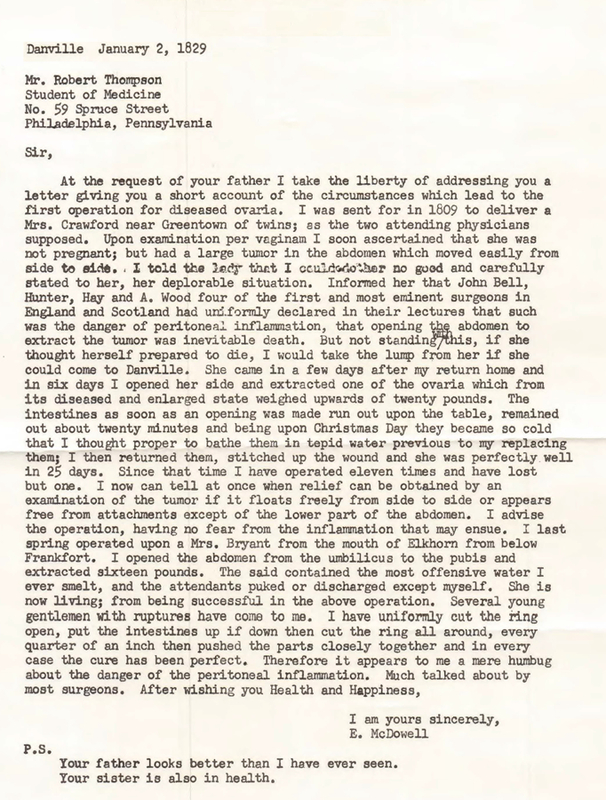 The patient was Mrs. Jane Todd Crawford, who has also been the subject of several articles in this website, including a homage to the "unknown patient/donor". The book seems to have belonged to Cecil Striker, MD, who practiced in Cincinnati. Dr. Striker was a faculty at the University of Cincinnati and one of the founders of the American Diabetes Association (ADA). He also was one of the first physicians to work in 1923 with a "newly discovered" drug by the Eli Lilly Company (Indianapolis) this drug was named Insulin. The medical application of Insulin had only just been discovered about a year earlier. 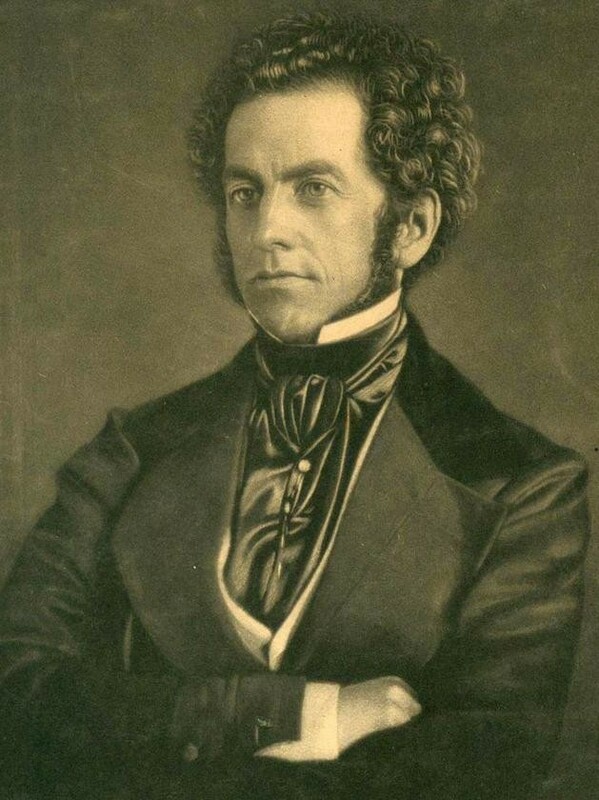 Inside the book there is a copy of a letter by Dr. Ephraim McDowell to Dr. Robert Thompson dated January 2nd, 1829, a year before Dr. McDowell's death. At the time (1829) Dr. Thompson (Sr.) was a medical student in Philadelphia. According to the note Dr. Thompson lived in Woodford County, KY, had three children and died in 1887. One of his children was also a doctor, but I have not been able to ascertain if this book was given to him by Dr. Striker. The letter is shown in the image attached. 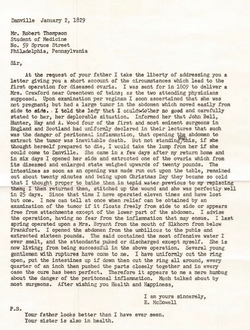 In this letter Dr. McDowell describes in his own words the ovariotomy he performed on Jane Todd. He also describes other ovariotomies he performed and his opinion on "peritoneal inflammation". The most important point of this letter is how easily and publicly they name patients and their home addresses. Today this would be a violation of the Health Insurance Portability and Accountability Act of 1996, commonly known as HIPPA, a legislation that provides data privacy and security provisions to safeguard patient medical information. It is also interesting to see how Dr. McDowell explained to Mrs. Crawford how difficult and dangerous the procedure would be. He stated how four renown surgeons in England and Scotland said that opening the abdomen was "inevitable death". Another point was how long the intestines were outside the body ... twenty minutes, and the maneuver Dr. McDowell used to bring them back to normal temperature. Late December in Kentucky is quite cold, even with wooden stoves and such. I wonder how much the lower temperature helped the patient. The last point refers to his success in hernia procedures in young males. In the 1800's the word "rupture" was the standard to name abdominal hernias. Without explaining the procedure in detail, Dr. McDowell says that "every cure has been perfect". At the time, this was unprecedented, as the recurrence of inguinal hernia procedures, when attempted, was close to 25%. The house where Dr. McDowell lived and practiced is today a museum in Danville, KY. In February, 2017 I visited this museum and wrote an extensive article on it. I encourage those interested in the History of Medicine to visit the place. UPDATED: [Pes anserinus] is the name given to a tri-flanged structure formed by the attachment of the flattened tendons of three muscles to the anteromedial surface of the superior aspect of the shaft of the tibia. 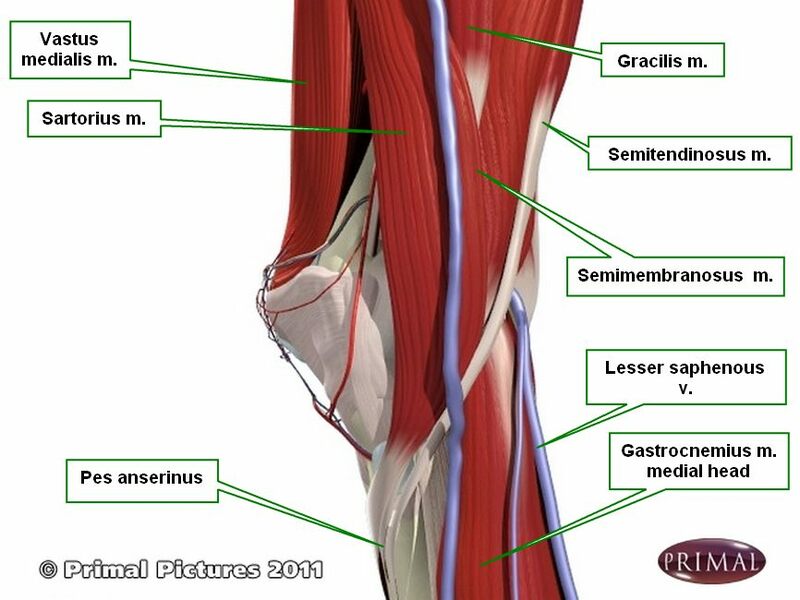 The tendons correspond to the sartorius, the gracilis, and the semitendinosus muscles. The pes anserinus is related superficially to the the tibial insertion of the medial collateral ligament of the knee. 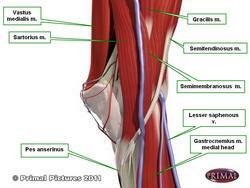 There is a bursa deep to these tendons, the [bursa anserinus], which can be the cause of painful bursitis. The term [pes anserinus] literally means “goose foot”, as early anatomists compared this structure to the foot of this bird. In Latin [pes] means “foot”, and [anserinus] or [anser] means “goose”. For other anatomical structures whose names are related to birds, click here. Thanks to Jackie Miranda-Klein for suggesting this post. Jackie is studying for the Physician Assistant Master's degree at Kettering College. Dr. Miranda.